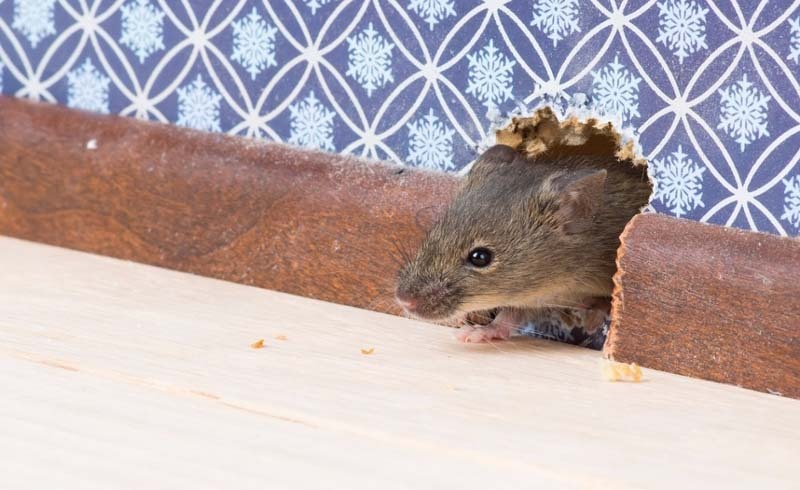 Fall and winter are prime time for rodents trying to make their way into warm, cozy homes, but it's never too early to start mouse-proofing, according to Cindy Mannes, a spokesperson for the National Pest Management Association. Here's what you need to know about those pesky little critters — and how you can get rid of 'em when you do spot one. They might cause dangerous damage. 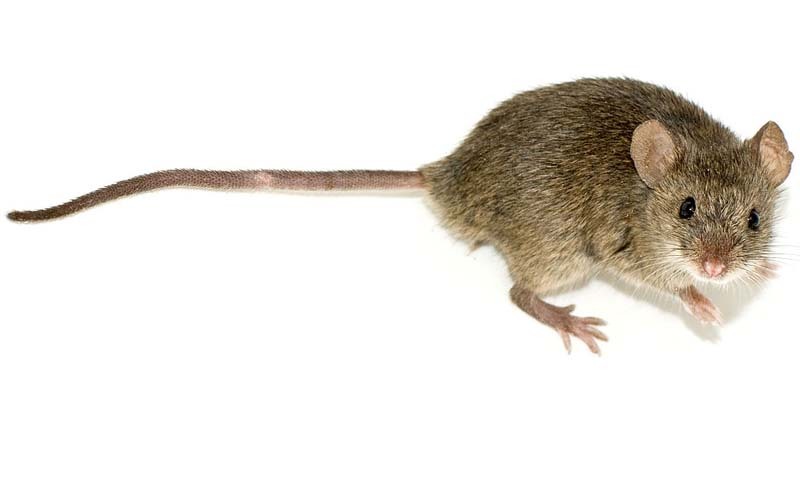 Not only can they chew through walls and boxes in your pantry, but mice can wreak serious havoc on your home. Particularly, they can chew on wires, which can lead to house fires. "And they carry a slew of illnesses and bacteria," Mannes warns. "A build up of their droppings can worsen allergy and asthma situations, too." We've seen all sorts of DIY repellent ideas (including peppermint sprays, dryer sheet stuffings, and cotton balls soaked in oil and cayenne pepper), but you may want to skip them. "There's no science or evidence behind any of these methods," says Mannes. "And again, mice are so used to living with humans, that smells associated with us are not usually repellent to mice." Once you handle the infestation inside, you'll want to make sure no additional mice can find their way in. Mice are able to fit through openings the size of a dime. And rats? Well, they can fit through something the size of a quarter — incredible! Even if a hole doesn't start out that large, the rodents can gnaw their way to make the opening larger. The good news: "They can't eat through caulk and steel wool," says Mannes. "Pay really close attention to where pipes enter the house and along basement foundations. Be sure to replace weather stripping. And make sure you've screened the vents and the openings of your chimneys." Everyone has a different threshold of what they're willing to put up with or take on themselves. But, if you get to the point of needing a professional, ask your friends and neighbors if they have any recommendations. Then, call to get an estimate to see what — if anything — they'd charge for a consultation. "Also ask if they're licensed by the state and if they're a member of a state or national association," says Mannes. "Those folks are usually taking the time to be credentialed properly and they're learning the latest techniques for treatment."